Pastor Page delivering the message. 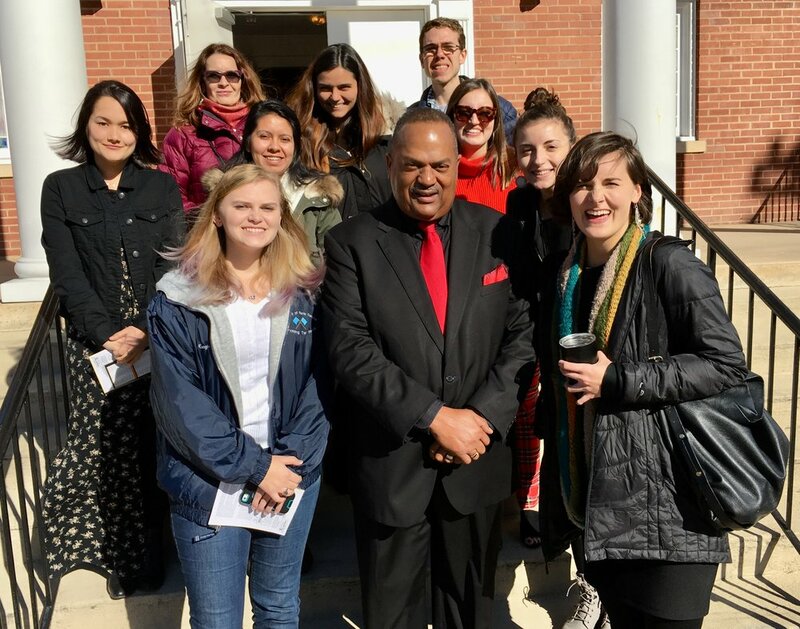 UNC Journalism Students and VOICE staff visiting Antioch in celebrating Rev. Dr. Martin Luther King, Jr. weekend. Antioch shared the spirit of Giving with NCCU Collegiate 100 Men Chapter, Yates Baptist Association Food Pantry, Alpha Kappa Chapter of NCCU, New Freedom Missionary Baptist Church, New Jerusalem Baptist Cathedral, Leesville Road Baptist Church and a host of volunteers to pack 125 Fresh Food Baskets for Thanksgiving. 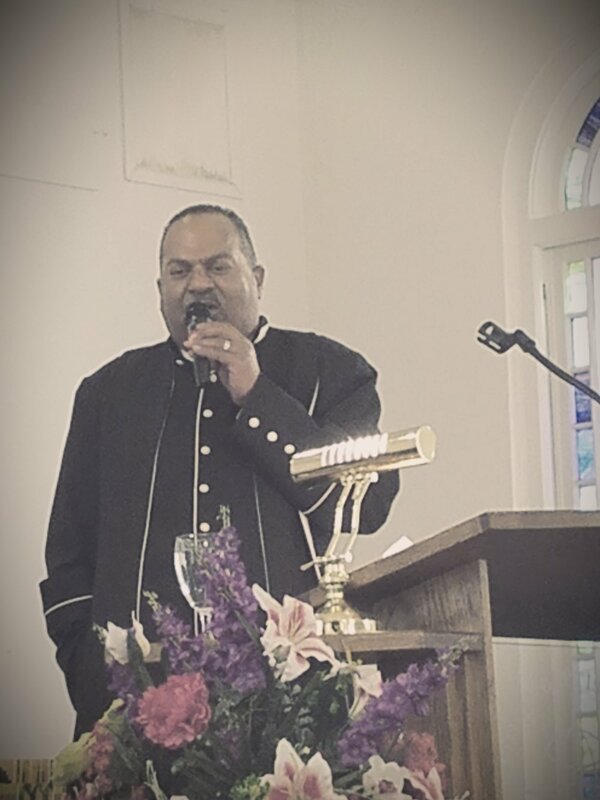 Antioch Men's Day Weekend Celebration with guest speaker Rev. Dr. Kedrick Lowery of Grace Church of Durham. North Carolina Central University Alpha Kappa Chapter of Kappa Alpha Psi Fraternity, Inc. visits Antioch Baptist Church for its 8:00 A.M. Service on Sunday, October 29, 2017. The chapter presented a check to the church toward its Thanksgiving Basket Food Drive. Antioch hosted a 90th Birthday Party Celebration on November 1, 2017 for co-founder and long time member, Miriam Gwinette Ricks.